A stage we know well. Just 110.5km and full of climbing and descending. 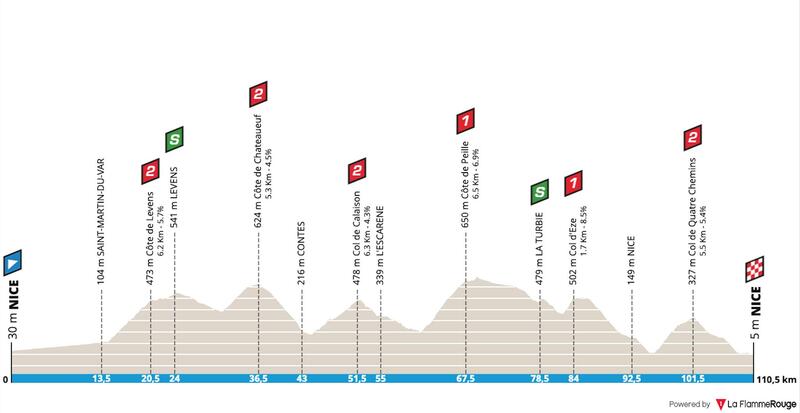 This is a stage that always delivers fireworks and I’m glad the organisers have continued with Col de Quatre Chemins as the final hill of the day. After a lumpy start, the fun really begins on Côte de Peille. 6.6km at 6.8% is tough enough for the race to explode, especially as the peloton are likely to hit in hard. Once over the top, the peloton have 43km remaining. 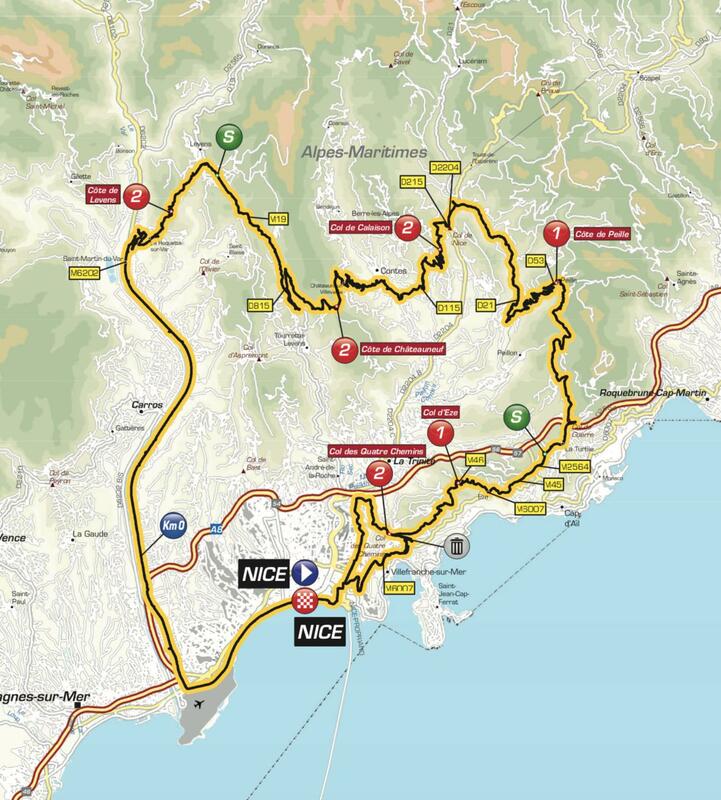 The next climb is the short ascent of Col d’Eze, which is only 1.7km long but does have an average gradient of 8.5%. To be honest, it’s not long enough to split the main GC contenders. A long descent follows, before the final climb of the day. 5.6km at 5.5% isn’t very difficult, but the opening 3.5km is at 7.2%. After a tough day in the saddle, this is where differences can be made. The crest comes with 9km remaining and the descent is fairly technical, this is where the Izagirre brothers crashed last year. A sunny day, with no wind. See, the race is well named! This is where the fun begins. Such a short stage is very hard to figure out tactics for, but the fact that Team Sky are in control of the GC should make it easier for me to work out! Sky will be very happy to see a break disappear and take the win, it’s up to the other teams to chase. Team Sky are clearly the strongest in the race, they’ll have Geoghegan Hart, Sosa, Kwiatkowski and Bernal until deep into the race. That will make it very difficult for any team to try and win the stage. The best option for everyone is to try and make the morning move. If another team wants to chase and we do end up with a GC showdown, it is almost impossible for Quintana to put any pressure on Sky, the gap is simply too big. Luis León Sanchez – the Spaniard has been in fantastic form this week. Don’t be misled by his result today, he cannot cope with long climbs anymore. This stage is tremendous for him, but I’m unsure what his tactic might be. Sitting 3:20 behind Bernal, I don’t think Sky will be overly concerned if he goes in the morning break, but he might choose to wait. Astana have the resources to chase down the early move and set up a big finish, he has the sprint required to win from the GC group. Oli Naesen – I find it amazing to see him sitting 14th overall, it seems like he’s found his climbing legs! If Naesen gets in the morning break, he has the form required to finish it off. He’ll have to hang tough on the climbs, but it would be a brilliant win. Simon Yates – looked good today, no doubt he’ll try again tomorrow. He’ll love the intense stage and Mitchelton-Scott will be keen on taking another win. 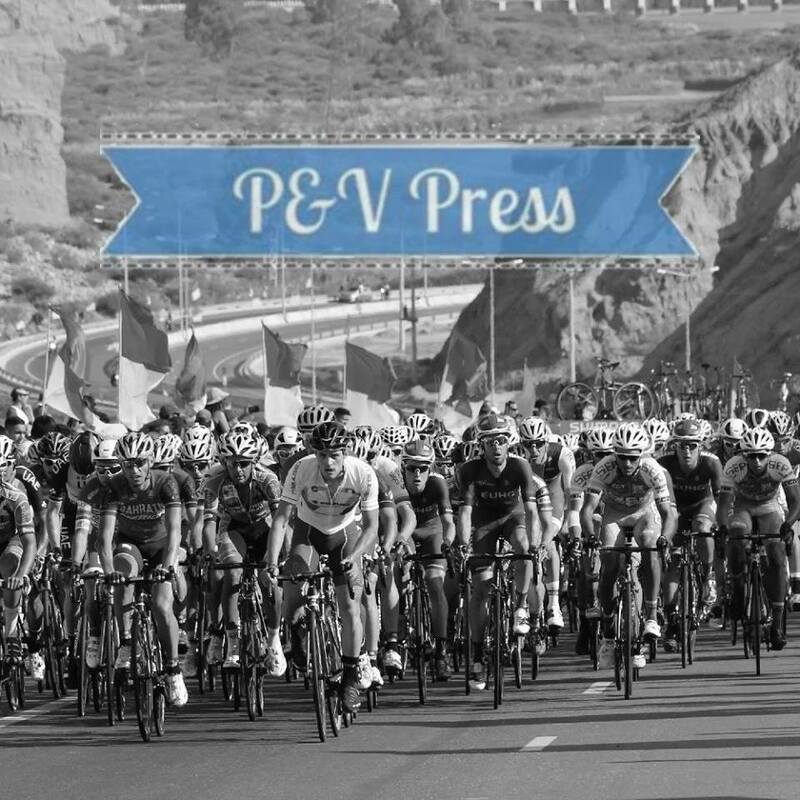 I doubt we’ll see Yates trying to win from the peloton, it’ll be break or bust. Giulio Ciccone – the Italian has looked good since his move to Trek. He is well suited to this stage; he is a good climber and packs a fast sprint. I sense that his team bosses have been delighted with his first few months at Trek, he has quickly risen up the pecking order. Valentin Madouas – another youngster who’s impressed this season. The 22-year-old sits in 12th place on GC, a result he should be happy with. He’s been close to a big win already this season, finishing 2nd in both Classic de l’Ardèche and the Drome Classic, the form is clearly good. Sitting 4:07 down on GC, he’ll have freedom to join the break. Michal Kwiatkowski – wouldn’t it be fun if Sky sent Kwiatkowski in the break!? That is highly unlikely, but the Pole does have the fastest sprint out of the GC group. If we do get a GC day, he’ll fancy his chances of taking a well-deserved stage win. Sky should have enough resources that Kwiatkowski doesn’t have to do much work, leaving him fresh for the finish in Nice. Living in Monaco, you can be sure that his family will be there to watch. One for the break or the GC riders? I’ll hedge my bets and pick a rider who can win from both scenarios, it’s a day for Luis León Sánchez. Apart from today, he’s looked very strong.